1. Select the green plus icon in the top right hand corner and add your contacts. Email address is a required field, however, you can also add more detail by including their name and position. 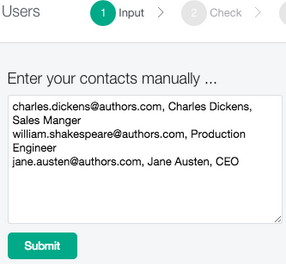 Simply separate each detail with a comma, and put every new user onto their own new line. 1. 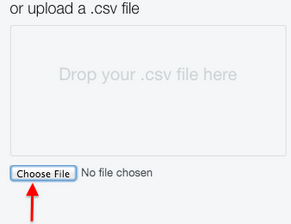 Choose your file to upload and select submit. This method allows you to import your contacts directly from Outlook or any other email system, and is perfect for setting up a larger organisation. 2. Once you have entered your data or selected your file, you will be taken to a new screen where you will match up the data to available field types. 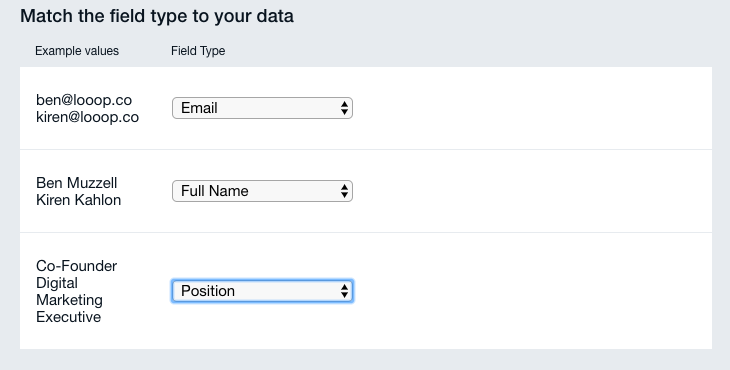 One of your field types must be an email, other field types can be selected from a list of supported types. When you have matched your fields, simply confirm by selecting the add people button and your new users will be automatically created. Send your Looop account link to your new users and they will be asked to activate their account and set a new password to allow them to securely log in for the first time.